Reading and share top 17 Katelin LaMontagne famous quotes and sayings. 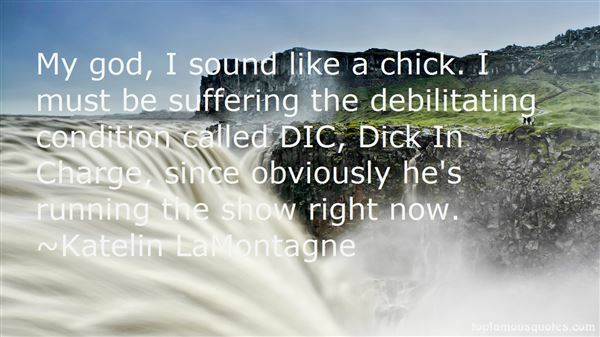 Browse top 17 most favorite famous quotes and sayings by Katelin LaMontagne. The clock is a conspiracy & a crime against humanityand I would not own oneexcept I miss appointments without it." What Did Katelin LaMontagne Talk About?